MIDDLEBURY, CT (CelebrityAccess) — East Coast concert promoter The Commission Presents is venturing into artist management with a pair of new signings — award winning rapper Lil Kim and Latin artist Victor Manuelle. The company said that previous show bookings with both artists opened the door to their new business affiliations. 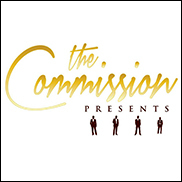 “We're extremely excited about the future of our new management division, especially as we are beginning it with a bang, with the signings of Lil Kim and Victor Manuelle, said Artie Pabon, CEO of The Commission Presents.